Year after year of reliable performance. 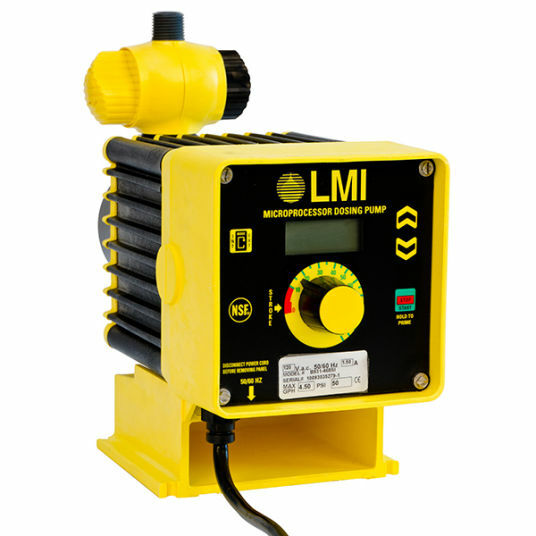 An industry standard for over 20 years, the Series B Chemical Metering Pump is a rugged, reliable choice for the harshest environments. Its 100% enclosed chemical resistant housing provides this unit with ultimate protection, making it ideal for corrosive chemical dosing. With a variety of models and options available, you have full flexibility to control stroke length and frequency, pressure capacity, pulse / 4.20 mA inputs and more. With rigid chemically-resistant housing and encapsulated electronics – this pump is designed to last year after year.